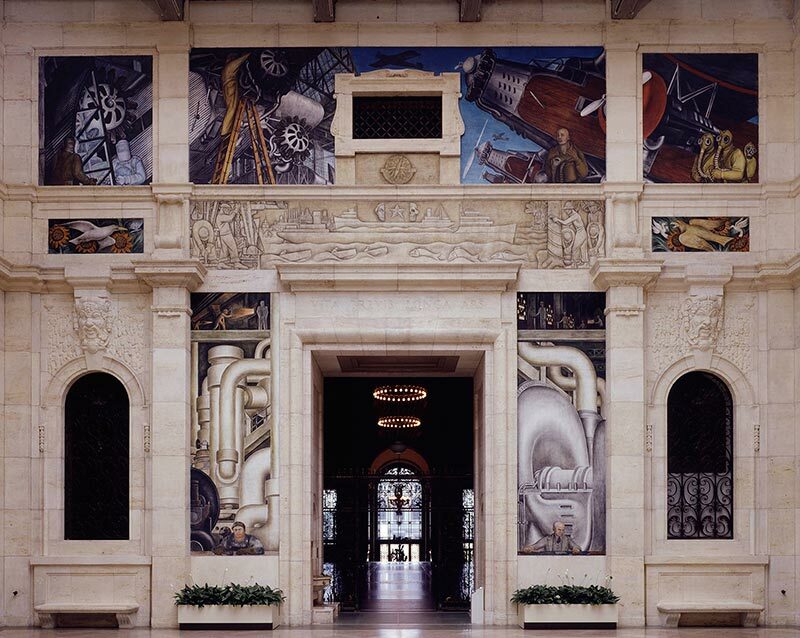 Centred on Rivera’s monumental Detroit Industry murals commissioned by the DIA in 1932, ‘Diego Rivera and Frida Kahlo in Detroit’ brings together nearly 70 works of art, exploring for the first time the pivotal and highly productive year that the Mexican artists spent in Detroit from April 1932 to March 1933. The exhibition is a window into a seldom remarked upon moment in the artists’ careers and interactions. It examines a remarkable year, in which Rivera arguably made his greatest mural cycle and Kahlo forged her now-revered, expressive style. Kahlo became Frida Kahlo in this year. I am the Adjunct Curator of Contemporary Art at the Detroit Institute of Arts, which is the home of Detroit Industry. Our director, Graham Beal, had long wanted the museum to organise a show with the murals at the heart. I am delighted to finally bring this vision to life. The eight, huge cartoons that Diego used to prepare the murals. Because of their size and fragility, they have not been on view in 30 years. To realise the degree of artistic interaction between the two artists, specifically during their time in Detroit. Kahlo ‘stood up’ to Rivera’s mighty – and sometimes nearly overpowering – point of view and was a foil to him. Editing! There were so many works I wanted to include, and so many insights that I wanted to share in the labels. But space is finite in galleries and on labels. Installing the aforementioned cartoons presented many installation challenges, given their fragility and size. 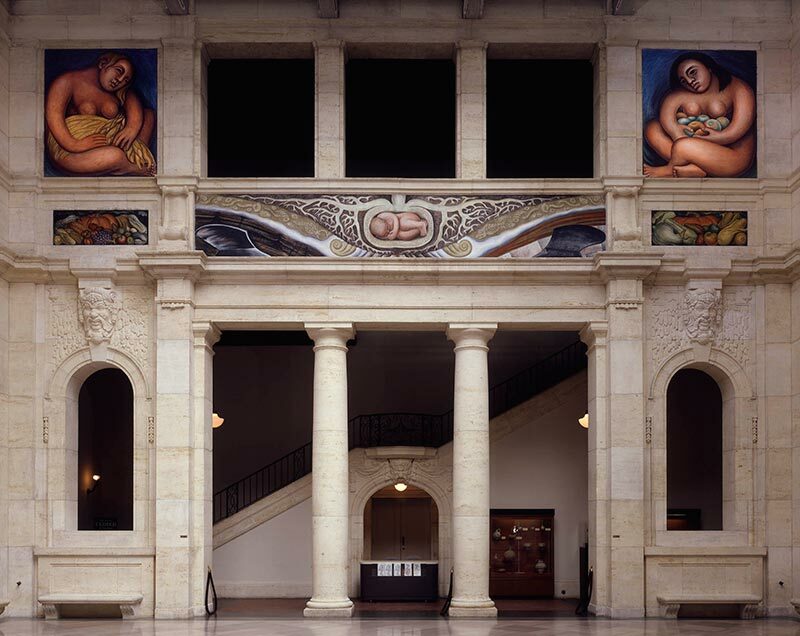 We also walked a fine line to achieve equipoise between the commanding scale of the murals by Rivera and the diminutive – though no-less powerful – paintings by Kahlo. Which other works would you have liked to include? As a curator, one always wants a ‘full set’. We were able to bring back seven of the 11 works that Kahlo produced during her time in Detroit – an embarrassment of riches and a result of the overwhelming generosity of public and private lenders. But still, I would have loved to have had all 11 back together. The seven works, paired with a spectacular group of works dating from just before and just after her time in Detroit, demonstrate her nascent artistry and how she evolved. The term ‘avant-garde’ has shifted meaning from its military roots to the byword for artistic innovation. How should we apply it to art history?